A careful use and control of facilities and devices energy intensive, especially if coupled with its own production from renewable sources, can lead to a virtuous technological integration, with a considerable saving of consumption. It is now possible to have an automatic management system that allows you to turn on or turn off the heating by adjusting the temperature of various environments independently, be warned if there is loss of water or gas, if you open the front door or a window, you can view the Interior and exterior of your home, you can turn on the lights or the garden irrigation system, to know the overall consumption of electricity, or a single appliance, turn off the lights or close the blinds and turn on the alarm system, to monitor the production of energy, programming efficiently energy intensive devices through controlled outlets. All this with one click from a smartphone or a tablet, remotely or automatically managed according to predefined conditions, in a simple, convenient, for the benefit of the savings, security and quality of life. This is the evolution of what several years ago was called home automation and now goes by the name of Smart Home or Digital Home , i.e. a house in which several components (sensors, switches, cameras, locks, thermostats, entertainment systems, smartphones, tablet and pc) are interconnected with each other to form a intelligent system . The system is able to collect data from various components and, based on predefined rules, put in place automatic actions (for example: If you open one or more windows turn off the heating; or turn off all the lights, lower the blinds, turn on the alarm system when you leave home; or control the shutters in a coordinated manner with the heating system, lowering them autonomously during the night hours to reduce thermal dispersion.). The technology available is non-invasive based on communications wireless type then easily applicable to pre-existing homes; it is also flexible, modular and scalable so you can start with a small investment, and integrate it over time according to your own needs. The technology used is open and supplied by different manufacturers, with a wide choice of components (over 1200), able to guarantee high autonomy in selecting the most appropriate solutions. The system allows to adjust and certify the House with CEI 64- 8 at its maximum level (the third), relative to automation functions. Finally, the implementation of such systems leads to virtuous user attitudes, both by acting directly, such as automatically turning off the lights in rooms where there is no presence of people, both acting indirectly at psychological level, for example by displaying instantaneous and energy consumption of the last period (week, month, year). So you get savings by breaking down energy consumption due to an excessive and uncontrolled use of energy. In the tertiary the savings are even more significant because in this context users are less careful to avoid excessive use of energy, and vary depending on the type of the buildings, such as: savings achievable in the schools may reach 20% in lighting and 33% in heating/cooling; in the hotel the 16% for lighting and 48% for heating/cooling. 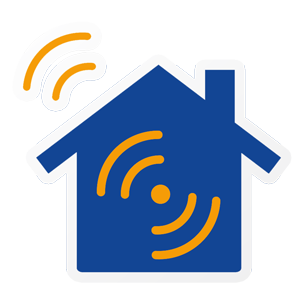 NON-INVASIVE: being a wireless technology can be used both on new homes that existing, not needing new wiring. There are no special requirements for installing a home automation system. The only requirement is availability of internet access. The smart home automation system, once configured, is stable, has no parts subject to wear and requires no special maintenance tasks. The only attention during exercise is related to the replacement of batteries from devices that are not connected to the mains – usually every five years – whose charge is detected from your system. Reduction of costs through the optimization in the use and control of all devices, in order to minimize overall energy costs, while increasing the comfort of living.Investment is not particularly onerous and modular. Increase in value of your property. Improvement in quality of life, through the remote control of devices and the implementation of automation for efficient management of all devices. Possibility to operate on all devices remotely via a pc, a smartphone or a tablet. Greater security thanks to the use of motion detectors, smoke, flooding, gas leaks, opening Windows and doors, cameras, etc.